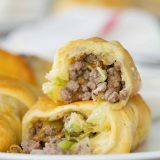 Super simple, yet super tasty, these Cabbage and Beef Bundles take a simple cabbage and beef filling and stuff it inside crescent rolls. 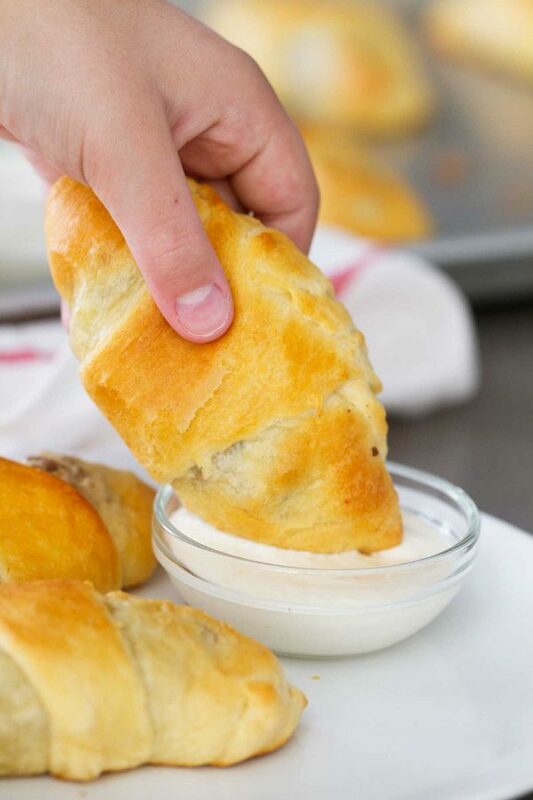 Don’t skip the horseradish mayo for dipping! Originally posted June 3, 2010 – I was looking for something easy to add to the menu a few weeks ago for a night when we had a lot going on. I hadn’t made these Cabbage and Beef Bundles in ages, and they sounded good to me. So onto the menu they went. 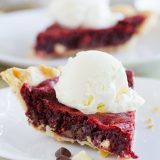 Little did I know that they would get gobbled up by the whole family – especially my husband! In fact, he claimed the leftovers for lunch the next day before we were even finished eating. 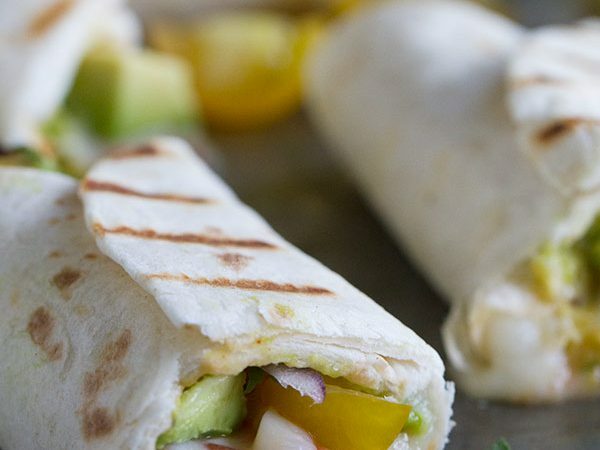 I love, love, love the horseradish mayo that you make for dipping these little bundles into. If you aren’t a horseradish fan, you might not love it, but my husband and I definitely did. I know these will make an appearance more often, now! Years ago, my parents used to own a Play It Again Sports. Because of this, my mom spent just about every Saturday morning out at garage sales. She became quite the garage sale expert. One thing she kept her eyes open for were those little Pillsbury magazine/cookbook things that you can buy at the grocery store checkout. For some reason, they must have really appealed to her, and she could often find them for cheap at garage sales. And now I have a nice thick stack of them, most of them coming from my mom. For some reason, when I’m making my menu, I tend to forget about these little books, which is a shame, because they really do hold some great recipes in them. So I decided to pull a couple of them out the other day and find something for dinner. I knew I had some ground beef in the fridge that needed to be used, so on a search I went. And these Cabbage and Beef Bundles are what I ended up deciding on. Can you believe I used to not like horseradish? Now whenever I see it in a recipe, I want to make that recipe asap. I think that is why this one called out to me! I didn’t quite understand the directions on how to “bundle” these up. (Or maybe I was just too impatient!) So I just rolled them and tucked them the best I could. It worked just fine! It seems like a lot of cabbage at first, but it will cook down. 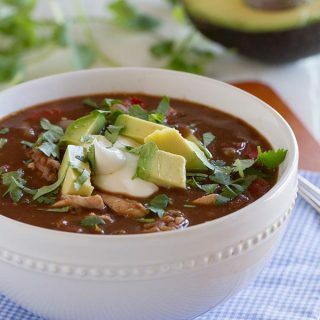 My version has a lot more than the original, and I definitely love the extra cabbage in them! Don’t skip on the dipping sauce! That is what makes these delicious! My daughter ate hers with the sauce, but my boys just ate theirs plain. We loved these. So did Abbi. She couldn’t get enough! 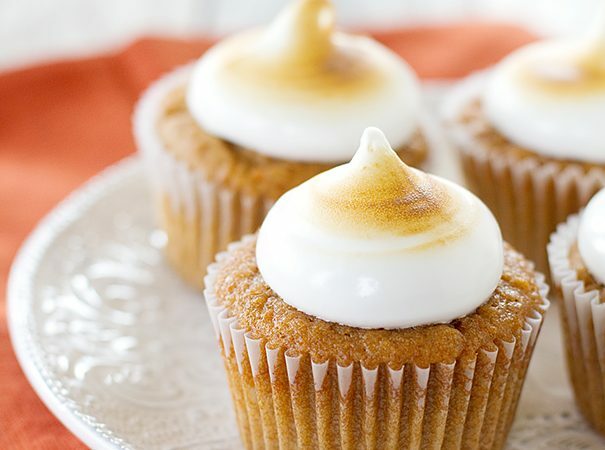 I love that they are super easy and use very few ingredients. Now I’m headed off to look through more of these little books! Combine the mayonnaise and horseradish in a small bowl and mix completely. Refrigerate until needed. Cook the ground beef in a large skillet over medium high-heat until browned, breaking it up as it cooks. In the last few minutes, add the onions and cook until the onion is soft. Drain, if needed. Add the cabbage, salt, and pepper; stir to mix. Cover the pan and reduce the heat to medium. Cook until the cabbage is crisp-tender, stirring occasionally, about 10-15 minutes. Remove from the heat and allow to cool for 5 minutes. Separate the crescent dough into 16 triangles, pressing each triangle out slightly to form a larger triangle. 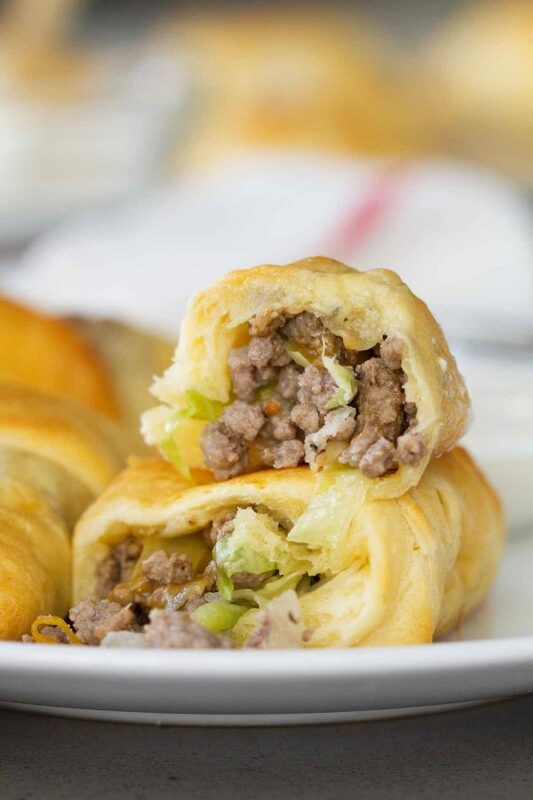 Place about 1/4 cup of the beef mixture in the middle and roll the filling up in the dough. Pinch the edges to seal the mixture inside, then place on an ungreased baking sheet, seam side down. Bake in the preheated oven for 15 to 20 minutes, or until golden brown. Serve the bundles with the horseradish mayo for dipping. Serving size is 2 bundles. Adults may want more, while children may only eat 1. I'm not big with directions for exactly how to fold things and how to present them. I probably would have just rolled them. They look great and delicious! Thanks! Oh my gosh! Lucky you with the Pillsbury cookbooks! I had so many of them and have no idea what happened to them, probably in a box somewhere. The bundles look delicious! The sauce is simple and sounds great. Isn't horseradish the best? Love it and thanks for the great recipe! Those are delicious looking crescents! A wonderful combination. I love those little books at the checkout too. This looks like a very tasty meal that is great for families. Gotta love that horseradish! 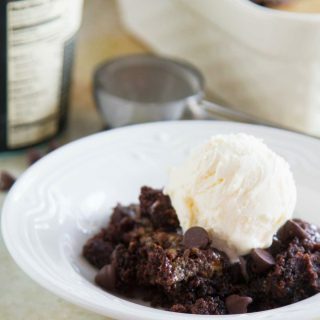 There is something really appealing about this recipe. These contain everything I love. I'm definitely going to try them. Those Bake-Off books are marvelous, Deborah. I used to have every single one back to the early 60's. And used the recipes too. 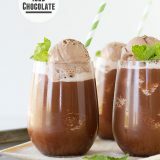 There're not all instant recipes as some people think. I finally gave my collection to my daughter in law and she loves them. Always felt the same way about a collection called Make It Now, Bake It Later, which you can still buy at Amazon. My Mom always picked up those little cookbooks too. And I have several of hers and then used to pick on up every now and then. But I haven't for a long time. Looking for them at Garage Sales is a great idea. 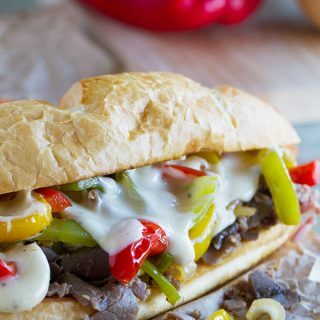 This recipe sounds like it is a recreation of a Runza. I grew up in Nebraska and they were quite popular there. The change that you did that I like is using the Napa Cabbage. I am sure I would like them better that way. Amazingly similar to BeerRocks, except for the cheese. 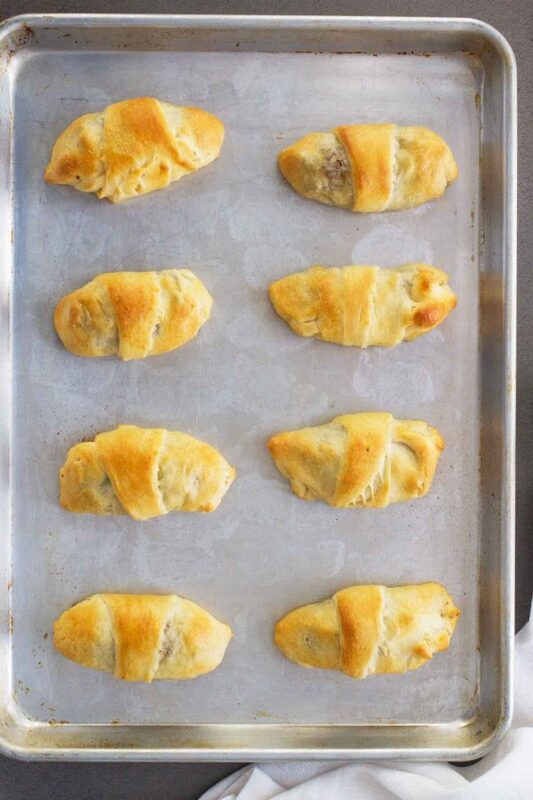 I'm pretty sure that anything wrapped in a crescent roll would turn out to be delicious but these look especially good. I'm with you on the horseradish – amazing! Hmm…I think I don't like horseradish, maybe I should think again. 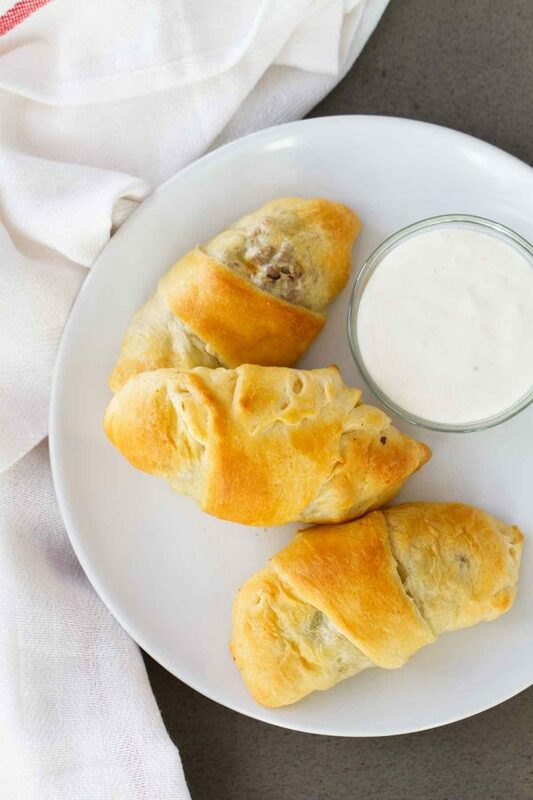 Love the crescent rolls any way! I wish Abbi would rub off on C. He will not try anything for me! 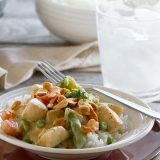 This would be a fab weeknight meal for us. And I've read that tastebuds change every so many years. That would explain your new loves, such as horseradish! Tried these tonight and they were awesome. 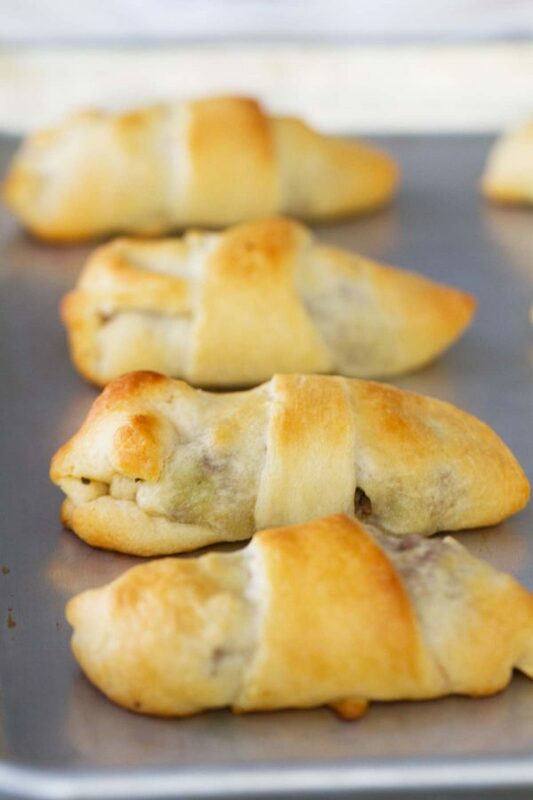 I was looking for recipes using crescent t rolls and something easy well I did they were great and very filling. Love them and glad I made them will be making often. I’m so glad you loved them!! Now I want to put them on the menu again! 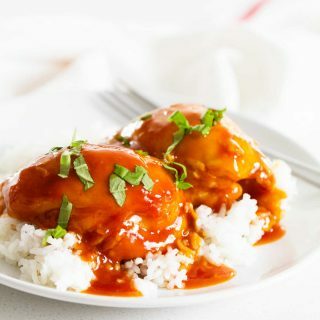 I am going to try making them in a 9×13 baking dish and serving it as a main meal rather than sandwiches. Your recipe sounds yummy. I would double the cabbage as well. Looking forward to making it. 2 words for you… Horseradish cheese. It is amazing! Ooh- going to have to look for that! Hi Gayell, I’m not sure of an equivalent that you have. The crescent rolls are just a premade dough that comes in the refrigerated section here, but I’m not sure if you have something comparable there. You could probably use a filo dough or croissant dough, but it would be different. I have not tried freezing them, so I’m not sure how they would do. Sorry!